What’s on your next meeting’s mixtape? Ray Charles’ Hit the Road Jack begins to play as the StriveTogether Leadership Program seminar concludes. Several participants chuckle as they pack their materials to head home, having discovered that the music over the previous two days was themed given the activity or time of day. For decades, researchers have studied how music affects people’s productivity, mood and brain function as well as student learning. They ask questions such as what impact learning to play a musical instrument has on academic achievement or if incorporating songs can help students learn and retain new concepts. In fact, my mom, who was a kindergarten teacher in Ohio for 40 years, put that research into practice and catalogued educational songs by subjects and skills, creating a musical curriculum for students’ early learning and development. Most meeting participants will think of the container as the physical meeting space — and that’s a big part of it. There is a lot of intentionality behind everything from table configuration to what is posted on the walls. For example, I often know that the container has the right data or posters in the room when participants look over at and gesture toward the walls during a conversation or — even better — when they stand up and bring the data back to their tables while they are working. But the container goes beyond just the meeting room and the meeting times. It is designed to ensure that participants have the preparation, structure, support and resources to get their work done, from project launch to meeting followup. The question is: Does including music in the container support leaders in achieving results? My exploration of how music can enhance participants’ experience and engagement started at an internal budget meeting. Spreadsheets may be one of a few things guaranteed to make meeting attendees’ eyes glaze over as they subtly reach for their smartphones to check their email. So as the budget committee began to peruse the graphs and charts on the walls, I turned on a carefully-curated “Money Team Playlist” as background. The familiar opening cash register chimes of Pink Floyd’s Money flooded the room and participants cocked their heads. The mood energized as Lunchmoney Lewis sang about the Bills he’s gotta pay, and participants hummed along to If I Were a Rich Man with the Fiddler on the Roof cast. Most importantly, not only did we achieve the meeting results, I had an enthusiastic list of volunteers for the next budget committee who heard how fun the meeting was or who were intrigued by what songs would be included in the Money Team Playlist 2.0. Those budget committee members were treated to a “Call to Action: Changes Playlist” for the next data walk. 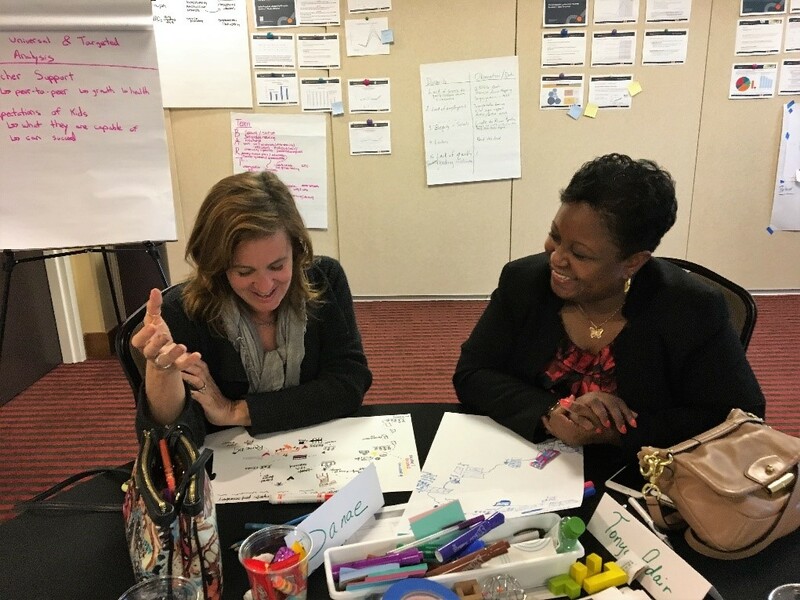 Laurie Wingate, Raise DC executive director, and Tonya Adair, chief innovation and information officer for Milwaukee Public Schools, share their journey maps at the first seminar of the StriveTogether Leadership Program. My next mixtape was in April at the StriveTogether Leadership Program launch in Charlotte, North Carolina. The participants were given time to reflect on their life experiences and how those experiences influenced their understanding and assumptions about race, class and culture. By increasing one’s own awareness of underlying assumptions, this journey mapping exercise is intended to enable leaders and practitioners to have authentic conversations about what factors impact the disparity gaps in their community and to develop strategies that better address inequities. As the participants gathered markers and started drawing key life events from birth to present day, Michael Jackson’s Man in the Mirror plays softly from the speaker in the corner of the meeting room. It wasn’t until the second song — One Direction’s Story of My Life — that participants realized the songs were themed to the activity and the room filled with grins. They enthusiastically bobbed their heads to Born this Way while mapping their own journeys and sharing them with others in the room. Since these first two trials, I have striven to consider what music will aid in setting the container as the agenda is set. Could you have these meetings or do these activities without music? Or with a random Pandora playlist? Absolutely. But I have found that the right music can impact the mood and energy of a room of participants, translating to a greater fervor and enthusiasm for the task at hand — and ideally to achieving the group’s results. Pick a theme. Consider the purpose and topic of the meeting or event. Mix it up. Draw songs from a variety of genres and decades. Ones that are recognizable often work best. “Best of” or “Greatest Hits” albums can be a good place to start. Take requests. Any good DJ has his or her ear tuned to what the audience wants and likes. Colleen Maleski is director of network advancement for StriveTogether. 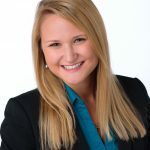 She builds and curates resources and supports to help cradle-to-career partnerships advance their work to change systems and improve educational outcomes for kids.